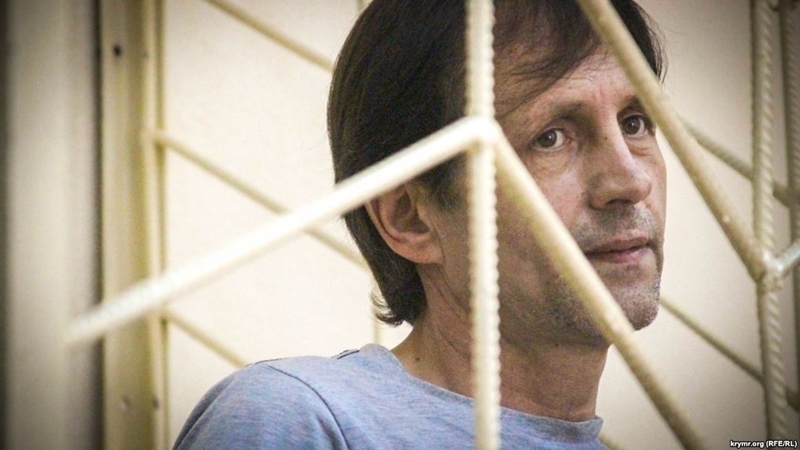 The prosecution requested four years imprisonment in colony for the Ukrainian activist Volodymyr Balukh for allegedly disorganizing the work of the Razdolnensky remand facility in the occupied Crimea. Thus, July 2, the Kremlin-controlled Razdolnensky district court held a meeting on the second case against the Ukrainian for allegedly beating the so-called head of the remand facility Valery Tkachenko. “The guilt and intent of the defendant are confirmed by the testimony of the victim and witnesses, also video recordings of the facility, a certificate from the hospital that Valery Tkachenko had a contusion of the soft tissues of the vertebral," the prosecution claimed. Taking into account the first case against the Ukrainian activist, he faces 6 years of a colony of the general regime and a fine of 10 thousand rubles. According to Ukrainian lawyer Olga Dinze, the fight with the participation of the Kremlin prisoner Volodymyr Balukh was provoked by the head of the detention center Valery Tkachenko. She noted that the incident occurred at a time when Balukh stood with his back to the wall. Tkachenko tried to squeeze between Balukh and the remand centre employee, although this was not necessary. “At that moment Tkachenko hits Balukh in the back area with his right hand. After which he quickly moves backwards and Balukh swings in the direction of the guard, however, does not hit. All this was accompanied by insults towards Balukh, humiliation of his mother, humiliation on the basis of nationality, with such words as "it is necessary to exterminate Ukrainians in the Crimea as a kind." Balukh flared up, but he was stopped by other employees, and Tkachenko began to beat the Ukrainian," Dinze informed. The lawyer went on saying that the incident was filmed on the surveillance camera and attached to the case.